St. Peters University Hospital, Main Parking — Carport Structures Corp. Description: Elevated solar structure, Multilane louvered style solar carport. Scope: Design, fabrication, galvanized coating, delivery and installation. 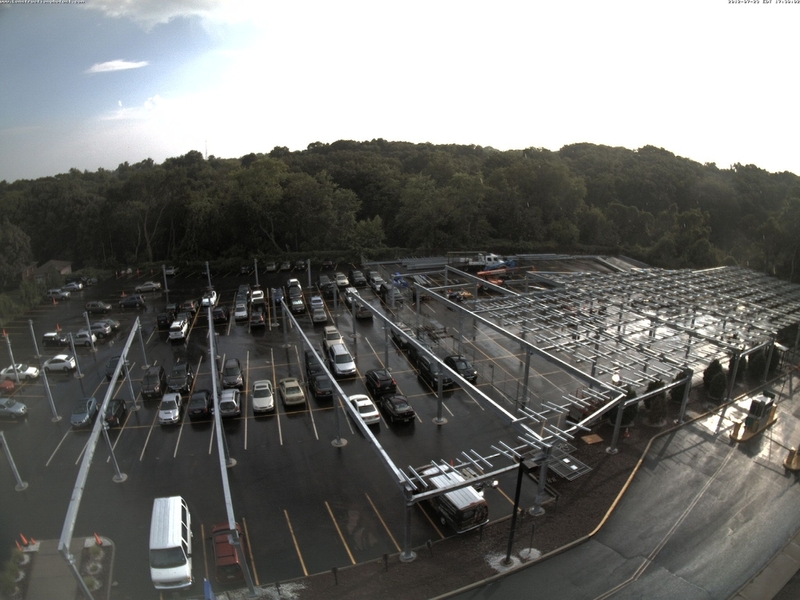 This solar Carport is the fourth structure to be installed at St. Peters University hospital, wrapping up the 1.9Mw Solar PV carport project. Steel erection concluded on August 6th 2012 and the final panels were mounted within days completion of steel. This Louvered style Multi Lane Solar Carport covers nearly the entire main parking area and carries approximately 2800 solar panels.